The Hart Rotary Club is sponsoring another food truck on Saturday, November 11th. 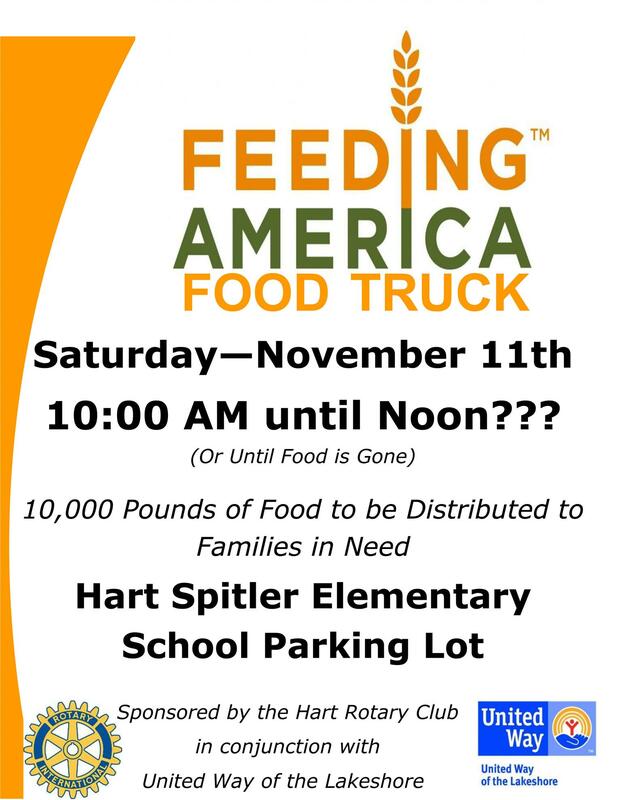 Volunteers are needed to help unload the food beginning at 9:00 AM in front of Spitler Elementary School in Hart. Distribution begins at 10:00 AM.